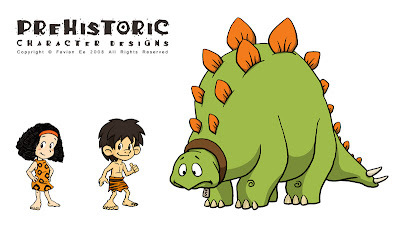 Favian's Art, Illustration and Animation: Prehistorics! Some character designs for a prehistoric cartoon for my assignment. My friends say the boy looks a little like me! If truth be told, dino is my fav among the three characters you drew. Well done, Fav!